Fast-paced, intelligent and full of twists and turns, this romantic suspense is more than just a love story. It's gritty, thrilling and complex, with a smart underlying story that is tight and well-produced. The novel follows the journey of archaeologist Mara Garrett who's traveled to North Korea to retrieve the remains of GIs lost in combat. But everything comes undone when a trusted colleague turns on her and she is arrested, convicted of spying and sentenced to death by firing squad. Enter Curt Dominick, a powerful and ambitious US attorney who just happens to be prosecuting her uncle, a former vice president of the United States. When the rescue mission goes sour, Curt and Mara find themselves on the run and it becomes clear someone wants Mara dead before she can pass on the secret of what she really discovered in North Korea. A gripping, edge-of-your seat suspense that was impossible to put down. Jaye Ford crafts a perfect mystery that lures you in from the very first page and hooks you in. Hiding a past that has made her run time and time again, the mysterious Rennie Carter finds herself in Haven Bay with a partner and real friends. –She knows she should have run again by now however for once she's found a place where she feels a sense of comfort. But that comfort is soon shattered when Max Tully, the man she loves and the reason she stayed, vanishes without trace. Has he left her? Has he been injured? Has her past finally caught up with her in one last bid to break her? This thrilling mystery will have you guessing until the very end. 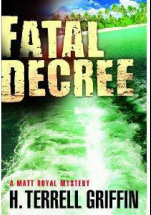 Matt Royal is an ex-lawyer with a knack for placing himself at the centre of the action. For someone who retired to the holiday hub of Longboat Key for a quieter life, he sure gets himself into a hell of a lot of trouble. Soon the town becomes home to a homicide investigation and resident disappearance. And while Detective J.D is busy putting the pieces together, her investigation is interrupted by a mysterious text message from a college friend she thought was dead. Royal gets neck deep in the mess as he comes to the aid of J.D (his friend-turned-lover) and is joined by close friend Jock Algren, a shadowy secretive intelligence operative. Together they must discover why one local was killed and another disappeared, the meaning behind the text sent to J.D.of her almost surely-dead college friend, and why somebody is trying to kill them. Like Griffen's last offering, this book is action-packed and full of thrills and spills. A great mystery from a great writer. An easy page-turner, this romance novel was a quick read and offered the whole spectrum of emotions. I felt another chapter or so was needed towards the back end of the book to tighten up the plot and allow the climax to sink in a little deeper. It all pulled together too neat and nice in the end and too quickly for my liking. With a bit more length and a little more time spent exploring the fall-out of the second tragedy in the book, I think this would have been a much stronger read. Still, I liked the direction it took and enjoyed the journey. Crime reporter Nichelle Clarke is chasing the story behind a drug-related murder that could give her just the career boost she's looking for. But the closer she gets to the truth, the more complicated and dangerous life becomes. Not knowing who to trust and what to believe, Clarke needs to dig deep to get to the bottom of this crime before she becomes a victim herself. You'll love this fresh, edgy, modern mystery and it's endless twists and turns. I put my weekend to good use and caught up on some great new romance titles. Here are three that got my attention. While independent and focused Frith is preparing for her sister's big day, a helping hand by estate manager George Challoner turns her world upside down and her life-plan flying. The more you read about Frith the more you want to tap her on the head with your Kindle to get her to wake up and smell the roses. This is a real will she/won't she love tale that's too good to pass. If you like your romances with a bit of sizzle, then look no further. FBI agents Ryan Vail and Angie Wolf have gone undercover under the covers at an intimacy resort. But as the assignment goes on it becomes more and more difficult to distinguish between truth and lies. While you could see the ending coming a mile away, there's no denying that this saucy tale was worth the ride. Lots of fun! This was a great, tight thriller filled with action and suspense. I enjoyed the punchy writing style, although I'll admit it took a little getting used to. Once I did, I appreciated how the author's style of cutting to the chase helped get the story moving and my heart thumping. This book is part of a series but for me, it was the first time I'd jumped in. That certainly didn't cause any reader confusion though. The well-defined characters and fast-moving narrative were more than enough to satisfy and I wasn't left wondering how bits and pieces fell into place. Here's the gist: Matt Royal is a likable ex-lawyer who's technically retired but finds himself at the centre of a murder investigation. After a 12-year absence, a serial killer shows up on Longboat Key, Florida. The victim has ties to a secret government agency for which Matt Royal's best friend Jock Algren works. Was this a coincidence or was she a targeted kill? Matt's friend, Longboat Key detective Jennifer Diane Duncan investigates the murders but also seems to be a target of the killer. From here things get, complicated, messy and mysterious and you'll have to read it yourself to find out more! There's something about a story like this that fires me up. From the very first chapter I was itching to read more and find out who did it, how it was allowed to happen, why it took so long to do something about it and what is being done to make sure it will never, ever happen again. If I could, I'd shake the author's hand. Hell, I'd give him a big hug because he's done some outstanding journalism to bring this story to light. As a journalist myself I can only imagine how massive and daunting a task it was to pull this piece of work together. Fagin did a tremendous job of telling the story of Toms River; a town which became a dumping ground for global chemical companies who buried tens of thousands of drums of toxic waste in pits which then leaked billions of gallons of acid-laced waste water into the town's river system. A river where children played in the summer time and where the town's drinking water was sourced. So strong was the toxicity, that the workers from the chemical plant began to smell the same, distinct odour from the chemicals at their workplace coming through the water they were showering in at home. This is a story of red flags that were ignored. It's about the victims, the people who spoke up, the town that suffered and those who deserved to be punished. For anyone who has ever questioned the role and power of big companies, particularly those with a stranglehold on isolated communities, then this is a book you will want to read. This FBI thriller sees agents Lacey Sherlock and Dillon Savich on the hunt for a shooter after their friend and prominent judge, Ramsey Hunt, is shot at his home. A string of murders follow that appear to be connected to a case Judge Hunt was presiding over. But are they also linked to the suspicious note delivered to Savich's office on the day of the attack stating: You deserve to die for what you did? Who is behind the shooting of Judge Ramsey Hunt? And who sent the note to Savich? Things are not what they seem. Thankfully those who weren't central to the story quickly dropped off and my attention kept pace with the right people from that point on. I enjoyed the book, loved the twists and turns but wondered at the end why the author hadn't revisited a key relationship that had developed in the novel. If it were intentional so that it could leave us wondering what will happen in the next book, then I don't think that was portrayed strongly enough to build suspense. It felt more like a loose end. I'm the type of reader that focuses a lot on how characters interact. I like either a clean and tight finish or a cliffhanger, even of minor aspects of a story. Apart from that, I'd definitely be interested in reading more of Coulter's work. Dying Art is a captivating, cleverly crafted novel with all the unexpected twists and turns a crime fiction reader craves. This is the first Shirley Wells book I've read and I'm glad I did. Her latest mystery is the fifth novel in a series featuring private detective Dylan Scott; a likeable, smart ex-cop who takes on crime-solving with a refreshing calmness. His new case in involves an ex-lover, who hires Scott to look into the death of her sister. While some mysteries make crime-solving look like a walk in the park, Wells had laid out so many crumbs I didn't know which direction to look. And neither did Scott; at least not at first. I enjoyed the way Wells kept me thinking as Scott drew closer to solving the case and the ending didn't disappoint as the last pieces of the puzzle were pressed into place. I liked the lack of urgency in Scott's investigative style because it gave me time to ponder a few hypotheses of my own. I'll definitely head back to book one in this series to catch up. Pitched at a youth/young adult audience, this type of book isn't my normal cup of tea. But I have to say it was a genuinely enjoyable read. For starters it was well written and tight. Doesn't matter who the book is written for, it should always deliver in that regard. Just look at Harry Potter and the millions of adults who freely admit to reading (and loving) a book that's written for children. Not that Slammed is a kids' book by any stretch -- I'm just pointing out that a good novel can break the bounds of its genre when it's written by a good author. It covered a subject matter from a perspective I probably hadn't thought too much of before and I found myself really empathising with the key characters. And finally, I like to have my eyes opened to something new when I read a novel. This story opened my eyes to the world of performance poetry and how putting pen to paper can be a medium for healing. I enjoyed this book immensely and to hear the story through the voice of two youngsters (an 18 and 21 year old) didn't detract from its tight and compelling plot. Liv Dugan has never been able to shake the feeling that there is more to her tragic past than meets the eye. It isn't until she receives a mysterious parcel from her mother, who has been dead since Liv's sixth birthday, that she is finally able to start digging for the truth. But once again, tragedy finds its way back into Liv's life. When she heads out for a later than usual lunch break at work, she returns to find the aftermath of a massacre. Shocked, terrified and alone, she flees the scene, suspecting the shootings are tied to her past and to the contents of her mother's package. When she senses someone is following her, she jumps into a stranger's car and orders him to drive. Her hostage is soon caught up in the story that has brought Liv to this point and he joins her in her hunt to uncover the truth about her troubled childhood. Because hidden under the lies and the mystery is a secret worth killing for. This gripping suspense is fast-paced and cleverly delivered, reeling you in from it's haunting start and keeping you on the edge of your seat until the very end. Defense Attorney Josie Bates had all but turned her back on criminal law, after a case-gone-wrong left her emotionally scarred. But when an old college friend shows up on her doorstep begging for help, Josie is pulled into a complex case where the truth is more tangled in lies that she could imagine. In this gripping story, a disturbed 16-year-old girl is charged as an adult for the violent murder of her step-grandfather - a Supreme Court Justice. Josie's reluctance to take on the case soon changes when she finds herself drawn towards the vulnerable, confused teen. Josie learns that to uncover the truth and save the young girl, she will need to fight political pressure, family tension, community perception and her own demons. 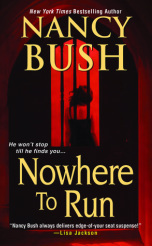 This thriller is a page-turner that you won't be able to put down. After a dinner with friends and acquaintances at the home of Fran and Will, seven people decide to start a monthly dinner club. But little do they know the impact these dinners will have on their lives, families and perspectives on life. I found it fascinating watching the lives of the key characters grow, unravel and change as the way they saw themselves and each other become clearer and more defined. This was heart-warming, sad and revealing at the same time. An enjoyable read. Kathryn Ledson's debut novel is full of fun, romance, danger and action, and the type of lead character one could base a series on. Her writing style took a few pages to get used to but I warmed to her tone quickly and soon found myself reading into the wee hours of the morning. It was refreshingly different to hear the Aussie voice portrayed realistically and to have the lead characters tread familiar turf in Melbourne and Sydney. An exciting read, full of exciting twists and turns and the type of ending that makes you want a little more. Perhaps book two? This complex mystery pulls you into a web of possibilities, as you follow the case of a murdered man with a stolen identity who winds up dead in the apartment of a mentally disturbed woman named Michelle. Detective Chief Inspector Karlsson needs an expert to delve inside Michelle's mind for answers and turns to former colleague, psychotherapist Dr Frieda Klein. The deeper Frieda and Karlsson dig, the more it starts looking as though the dead man may be more perpetrator than victim. The pair first came together in book one of French's series called Blue Monday, where they worked together while trying to solve the mystery of an abducted child. I read Tuesday's Gone without having first read book one. This may be the reason why I didn't connect very well with one of the key characters, Frieda. I found her difficult to warm to and I struggled to understand her way of thinking. Because of this, I became disconnected from the 'hunt' that would normally put me on the edge of my seat in a Nicci French book. When I read a mystery, I like knowing we're on the tail of something and following the crumbs and potential scenarios along the way. This time around there weren't so may crumbs to pick up on for me and when a thread was drawn, bring the characters closer to solving the mystery, I felt the need to flick back and read the particular scenes over again because I just didn't see how something was possible. I didn't feel as though I was along for the ride, so to speak. Despite that aspect, I did enjoy the book and the twists and turns the author took us on. As usual, French delivered a clever, well-thought out plot that kept me hooked, even though the crime didn't come together as clearly as I would have liked. Sandra Brown's signature mix of suspense and romance was ever-so-perfectly packed into her latest page-turner, Low Pressure. The story revolves around Bellamy Lyston, who at the age of 12 loses her sister Susan in a tragic Memorial Day storm. But what she also loses on that fateful day is her recollection of the events that unfolded in the lead-up to her sister's death. Now, 18 years later, Bellamy has written a blockbuster novel based on Susan's murder under a pseudonym. But the truth about the author eventually comes out thanks to a persistent tabloid newspaper reporter, unleashing the ghosts of Bellamy's past that have haunted her and her family for almost two decades. As she investigates her sister's killer she becomes the target of an unnamed assailant who either wants the truth about Susan's murder to remain unknown or is determined to get vengeance for a man wrongfully accused and punished. And as Bellamy delves deeper into the mystery surrounding Susan's murder, she discovers disturbing elements of the crime which call into question the people she holds most dear. Haunted by partial memories and conflicted over her feelings for a man who was accused of the murder all those years ago, she is determined to keep going until Susan's killer is found. 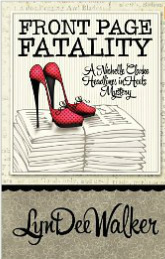 This book, like so many of Sandra Brown's novels, offers an intelligent, exciting mystery with a touch of romance. She always seems to get the balance just right, where so many other authors tread an awkward path, letting love get in the way of a good thriller. Brown shows she can do both to perfection. This haunting tale unravels in the form of letters written from one sister to another. When Beatrice learns of her sister's death, she embarks on a journey to uncover the truth, and what plays out over the pages is a story with twists and turns that keep you guessing until the very (surprising) end. Beatrice follows the trail of her sister's last days, discovering a shocking truth that makes her question who she can trust and how much information she can share. Her sister's disappearance puts strain on Beatrice's relationships, tests her strength and uncovers a mystery so believable it sends shivers down your spine. This first-time novel for author Rosamund Lupton is a wonderfully crafted and entertaining tale that I highly recommend. When Nadia meets a handsome stranger, Jay, during a snowstorm, they wind up in a run-down hotel for the night waiting for the bad weather to pass. There are more than a few sparks flying between the two of them but Nadia makes a point of telling Jay about her comfortable relationship with a cover-model boyfriend. Fast-forward a little while and Nadia finds herself, once again, bumping into this handsome man, only this time a few things have changed in her life and Jay's certainly taking notice. Put your feet up, make a coffee and enjoy this easy, sweet read. Sometimes the plight of so many can be understood best through the voice of a single person. In his memoir, comedian Anh Do proves he is more than just a likeable funny guy -- he is smart, articulate and tells a fascinating tale. Anh's family risked everything when they set sail from war-torn Vietnam on a small boat packed to the brim with men, women and children seeking a better life. Their slow, arduous journey was fraught with rough seas, hunger, sickness and even pirates. And their arrival on Australia's doorstep marked the start of a difficult time settling into a new country and making ends meet. The Happiest Refugee is a wonderful, unforgettable and uplifting memoir that made my heart sink one minute then soar the next. Anh tells of his inspirational journey from hardship to happiness in the only way he knows how -- with honesty, heart and humour. You won't be able to put this book down. When college freshman Julie Seagle finds herself in the home of the Watkins family, she knows there is something just not quite right. The folks are career-driven and distant, and their son Matt is nerdy enough to give the boys of Big Bang Theory a run for their money. But perhaps the most quirky of the bunch is the 13-year-old Celeste -- a super-intelligent youngster who spends much of her time with a life-sized, cardboard cutout of her eldest brother, Finn. Why? Julie decides she's going to find out the truth, despite another family member having other ideas. This is a clever, heart-warming novel about a family with more than its fair share of functional flaws and one very flat problem. Published in 2011 by Jessica Park.